From Tuesday to Saturday, from 11:00am to 07:00pm. 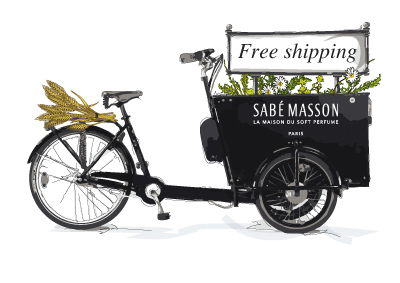 At Maison Sabé Masson, our perfumes are created and composed between Paris and Grasse. We create fine French fragrances in a range of different formats – liquid, solid and creamy – with other surprises coming soon. Throughout these pages, you will discover our unique savoir-faire which shows the eloquence of the Skincare Perfume. Our Maison de Parfum is member of the Upperside Group.